JSAs are contractual agreements that allow broadcasters to cut down on costs by using the same advertising sales force. The efficiencies created by JSAs have helped broadcasters to offer services that benefit consumers, especially in smaller markets…. JSAs have served communities well and have promoted localism and diversity in broadcasting. Unfortunately, the FCC’s new restrictions on JSAs have already caused some stations to go off the air and other stations to carry less local news. 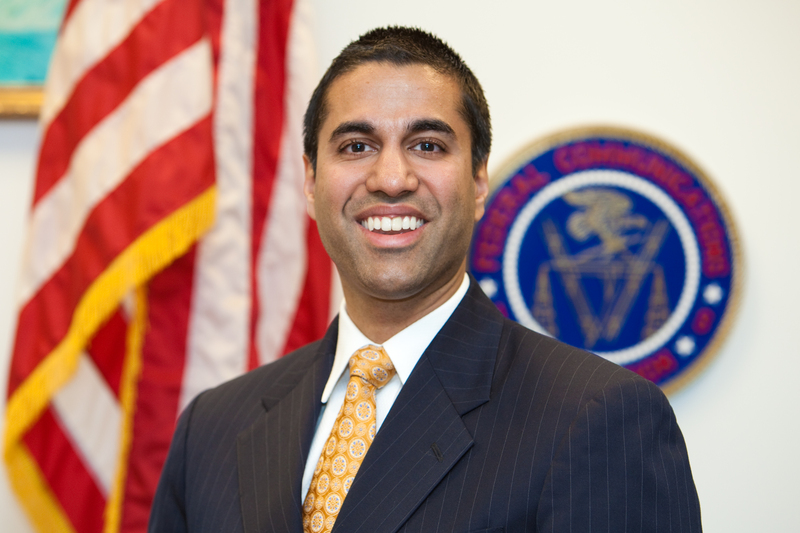 The “new restrictions” to which Commissioner Pai refers were recently challenged in court by the National Association of Broadcasters (NAB), et. al., and on April 20, the International Center for Law & Economics and a group of law and economics scholars filed an amicus brief with the D.C. Circuit Court of Appeals in support of the petition, asking the court to review the FCC’s local media ownership duopoly rule restricting JSAs. Much as it did with with net neutrality, the FCC is looking to extend another set of rules with no basis in sound economic theory or established facts. At issue is the FCC’s decision both to retain the duopoly rule and to extend that rule to certain JSAs, all without completing a legally mandated review of the local media ownership rules, due since 2010 (but last completed in 2007). The duopoly rule is at odds with sound competition policy because it fails to account for drastic changes in the media market that necessitate redefinition of the market for television advertising. Moreover, its extension will bring a halt to JSAs currently operating (and operating well) in nearly 100 markets. As the evidence on the FCC rulemaking record shows, many of these JSAs offer public interest benefits and actually foster, rather than stifle, competition in broadcast television markets. In the world of media mergers generally, competition law hasn’t yet caught up to the obvious truth that new media is competing with old media for eyeballs and advertising dollars in basically every marketplace. For instance, the FTC has relied on very narrow market definitions to challenge newspaper mergers without recognizing competition from television and the Internet. Similarly, the generally accepted market in which Google’s search conduct has been investigated is something like “online search advertising” — a market definition that excludes traditional marketing channels, despite the fact that advertisers shift their spending between these channels on a regular basis. But the FCC fares even worse here. The FCC’s duopoly rule is premised on an “eight voices” test for local broadcast stations regardless of the market shares of the merging stations. In other words, one entity cannot own FCC licenses to two or more TV stations in the same local market unless there are at least eight independently owned stations in that market, even if their combined share of the audience or of advertising are below the level that could conceivably give rise to any inference of market power. Such a rule is completely unjustifiable under any sensible understanding of competition law. Can you even imagine the FTC or DOJ bringing an 8 to 7 merger challenge in any marketplace? The rule is also inconsistent with the contemporary economic learning incorporated into the 2010 Merger Guidelines, which looks at competitive effects rather than just counting competitors. Not only did the FCC fail to analyze the marketplace to understand how much competition there is between local broadcasters, cable, and online video, but, on top of that, the FCC applied this outdated duopoly rule to JSAs without considering their benefits. The Commission offers no explanation as to why it now believes that extending the duopoly rule to JSAs, many of which it had previously approved, is suddenly necessary to protect competition or otherwise serve the public interest. Nor does the FCC cite any evidence to support its position. In fact, the record evidence actually points overwhelmingly in the opposite direction. As a matter of sound regulatory practice, this is bad enough. But Congress directed the FCC in Section 202(h) of the Telecommunications Act of 1996 to review all of its local ownership rules every four years to determine whether they were still “necessary in the public interest as the result of competition,” and to repeal or modify those that weren’t. During this review, the FCC must examine the relevant data and articulate a satisfactory explanation for its decision. So what did the Commission do? It announced that, instead of completing its statutorily mandated 2010 quadrennial review of its local ownership rules, it would roll that review into a new 2014 quadrennial review (which it has yet to perform). Meanwhile, the Commission decided to retain its duopoly rule pending completion of that review because it had “tentatively” concluded that it was still necessary. In other words, the FCC hasn’t conducted its mandatory quadrennial review in more than seven years, and won’t, under the new rules, conduct one for another year and a half (at least). Oh, and, as if nothing of relevance has changed in the market since then, it “tentatively” maintains its already suspect duopoly rule in the meantime. In short, because the FCC didn’t conduct the review mandated by statute, there is no factual support for the 2014 Order. By relying on the outdated findings from its earlier review, the 2014 Order fails to examine the significant changes both in competition policy and in the market for video programming that have occurred since the current form of the rule was first adopted, rendering the rulemaking arbitrary and capricious under well-established case law. Had the FCC examined the record of the current rulemaking, it would have found substantial evidence that undermines, rather than supports, the FCC’s rule. Economic studies have shown that JSAs can help small broadcasters compete more effectively with cable and online video in a world where their advertising revenues are drying up and where temporary economies of scale (through limited contractual arrangements like JSAs) can help smaller, local advertising outlets better implement giant, national advertising campaigns. A ban on JSAs will actually make it less likely that competition among local broadcasters can survive, not more. Several econometric studies also provide empirical support for the (also neglected) contention that duopolies and JSAs enable stations to improve the quality and prices of their programming. One study, by Jeff Eisenach and Kevin Caves, shows that stations operating under these agreements are likely to carry significantly more news, public affairs, and current affairs programming than other stations in their markets. The same study found an 11 percent increase in audience shares for stations acquired through a duopoly. Meanwhile, a study by Hal Singer and Kevin Caves shows that markets with JSAs have advertising prices that are, on average, roughly 16 percent lower than in non-duopoly markets — not higher, as would be expected if JSAs harmed competition. And again, Commissioner Pai provides several examples of these benefits in his dissenting statement. In one of these, a JSA in Wichita, Kansas enabled one of the two stations to provide Spanish-language HD programming, including news, weather, emergency and community information, in a market where that Spanish-language programming had not previously been available. Again — benefit ignored. Moreover, in retaining its duopoly rule on the basis of woefully outdated evidence, the FCC completely ignores the continuing evolution in the market for video programming. Today, over 85 percent of American households watch TV over cable or satellite. Most households now have access to nearly 200 cable channels that compete with broadcast TV for programming content and viewers. In 2014, these cable channels attracted twice as many viewers as broadcast channels. Online video services such as Netflix, Amazon Prime, and Hulu have begun to emerge as major new competitors for video programming, leading 179,000 households to “cut the cord” and cancel their cable subscriptions in the third quarter of 2014 alone. Today, 40 percent of U.S. households subscribe to an online streaming service; as a result, cable ratings among adults fell by nine percent in 2014. At the end of 2007, when the FCC completed its last quadrennial review, the iPhone had just been introduced, and the launch of the iPad was still more than two years away. Today, two-thirds of Americans have a smartphone or tablet over which they can receive video content, using technology that didn’t even exist when the FCC last amended its duopoly rule. In the face of this evidence, and without any contrary evidence of its own, the Commission’s action in reversing 25 years of agency practice and extending its duopoly rule to most JSAs is arbitrary and capricious. must examine the relevant data and articulate a satisfactory explanation for its action, including a rational connection between the facts found and the choice made. the agency must explain why it decided to act as it did. The agency’s statement must be one of ‘reasoning’; it must not be just a ‘conclusion’; it must ‘articulate a satisfactory explanation’ for its action. [A]n agency acts arbitrarily and capriciously when it abruptly departs from a position it previously held without satisfactorily explaining its reason for doing so. None of these standards is met in this case. It will be noteworthy to see what the DC Circuit does with these arguments given the pending Petitions for Review of the latest Open Internet Order. There, too, the FCC acted without sufficient evidentiary support for its actions. The NAB/Stirk Holdings case may well turn out to be a bellwether for how the court views the FCC’s evidentiary failings in that case, as well. Henry N. Butler, George Mason University Foundation Professor of Law and Executive Director of the Law & Economics Center, George Mason University School of Law (and newly appointed dean).